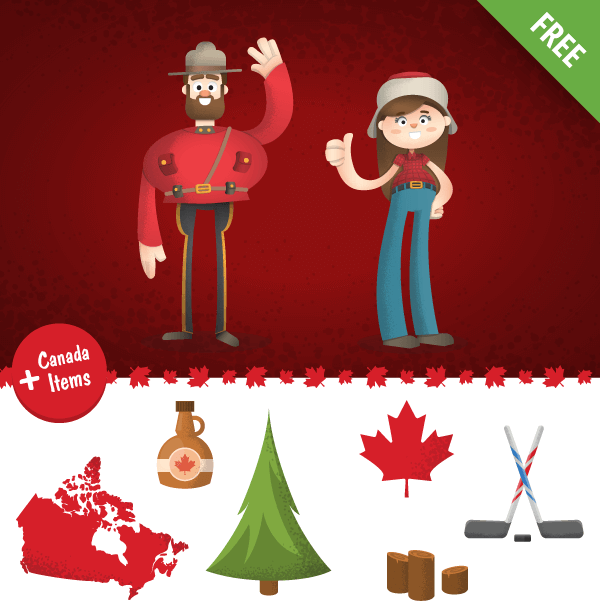 Our FREE Vector Canada Cartoon Characters Set includes 2 Canadian cartoon characters plus 6 bonus Canada related items. All of the items and characters are made with vector shapes – which means you can modify them easily without losing quality. You can change the colors or modify the shapes as you need to fit your projects. You can combine the characters with the items to make your own cartoon illustrations or use them separately in different situations. These Vector Canada Cartoon Characters are suitable for different projects related to Canada or international designs. If you need different nationalities, check out some of our others Nationalities Cartoon Characters.